A couple of weeks ago, my gmail account went a little batty, and I accidentally sent a copy of my Secret Code Idioms that I was sending to my work email to Maureen over at The Speech Bubble. She graciously said that she would love to swap materials and review each others packets. Wow, was I ever lucky! 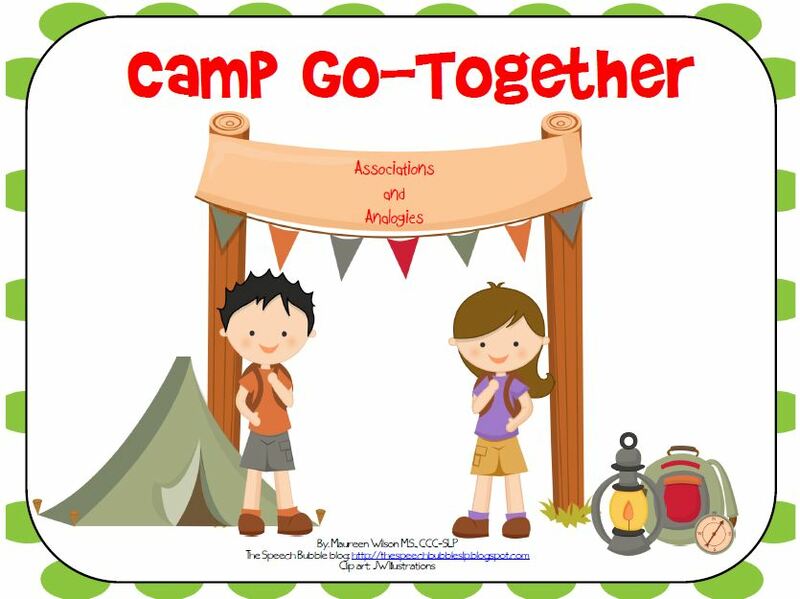 I got to reveiw her great packet called Camp Go-Together: Associations and Analogies. This was exactly what I needed to work with several of my students. There are three different activities in this packet. The activities increase in complexity, starting with Association Cookout. 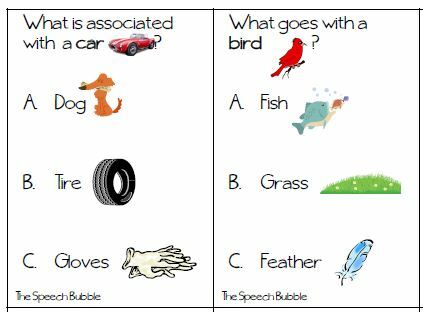 This activity has students identifying how two items are related. 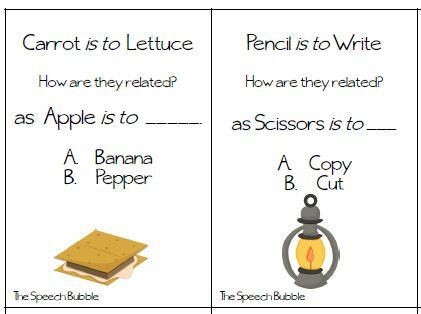 E.G., How do Sugar and Candy go together? There are 32 cards in this deck. 16 of the items have multiple choice answers, and 16 have no choices available. This is great to differntiate in groups. I was able to split up the cards and present the ones with choices to a student who was having more difficulty with the concept, and the ones without choices to a student who was a little more advanced. 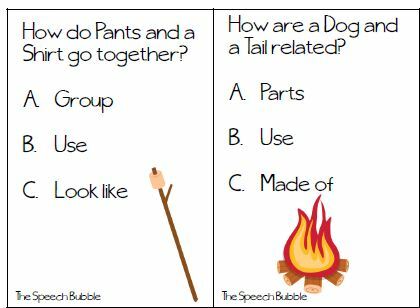 The next activity, called Hike the Association Trail, is a multiple choice activity that looks at what is associated with target items. There are 24 cards, all with multiple choice answers with picture cues. I loved these cards! They have been great with so many of my students. I actually used the backpack mats from the third activity as a place to hold the students cards, and they loved putting their cards "in their backpacks." 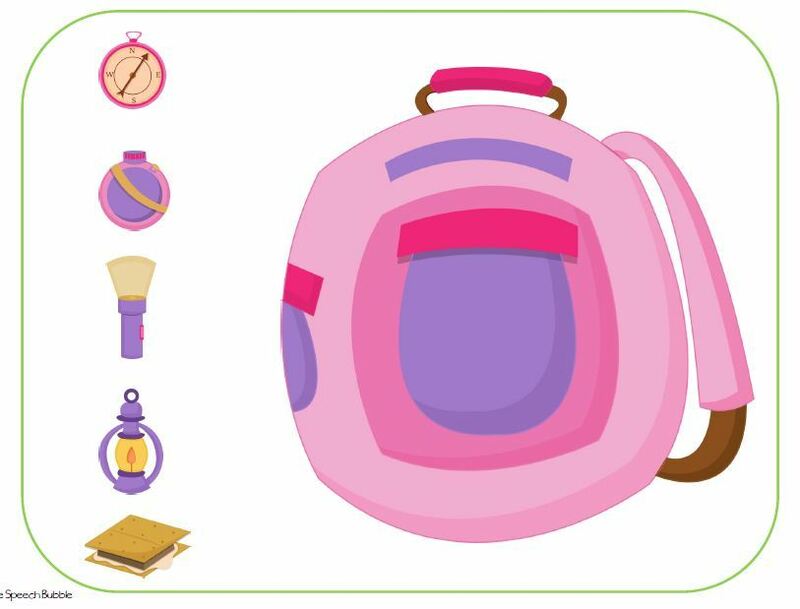 The third activity, called Pack Your Bag, introduces analogies. There are 48 cards, 24 with multiple choice, and 24 without. 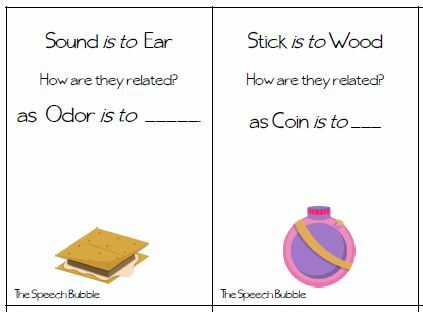 Students are asked to state how the first pair of items are related, and then determine which item completes the analogy. 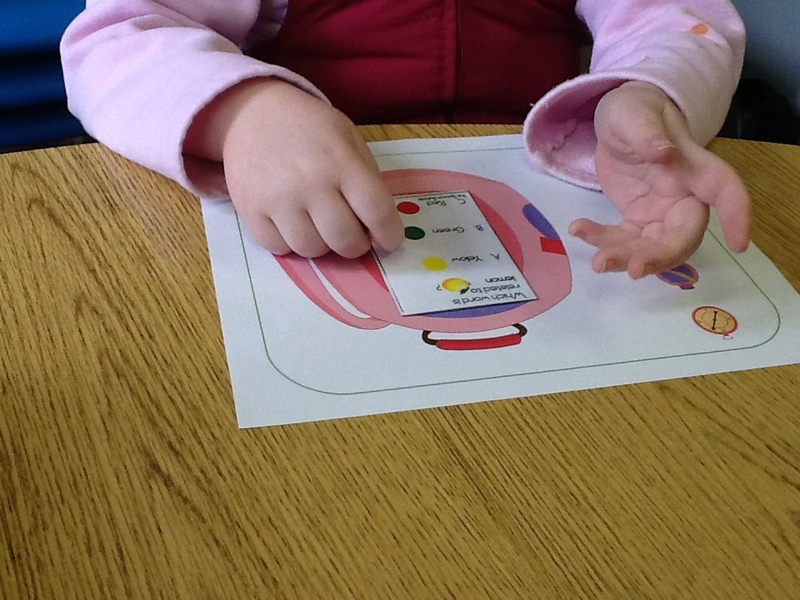 There are cute backpack mats included with this activity. 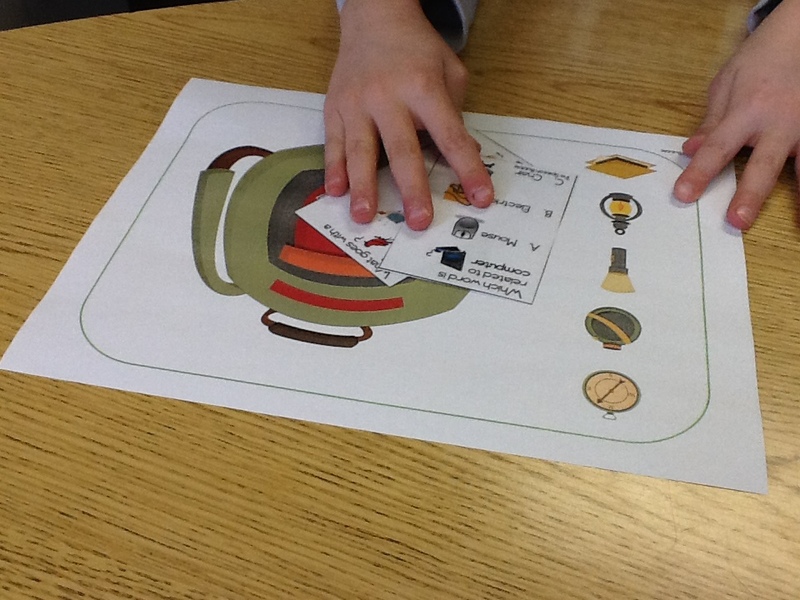 Students are looking to pack their bag with all of the items listed on the mat. On each card, there is a picture of an item from the backpack. The first student to find all of their items, wins! 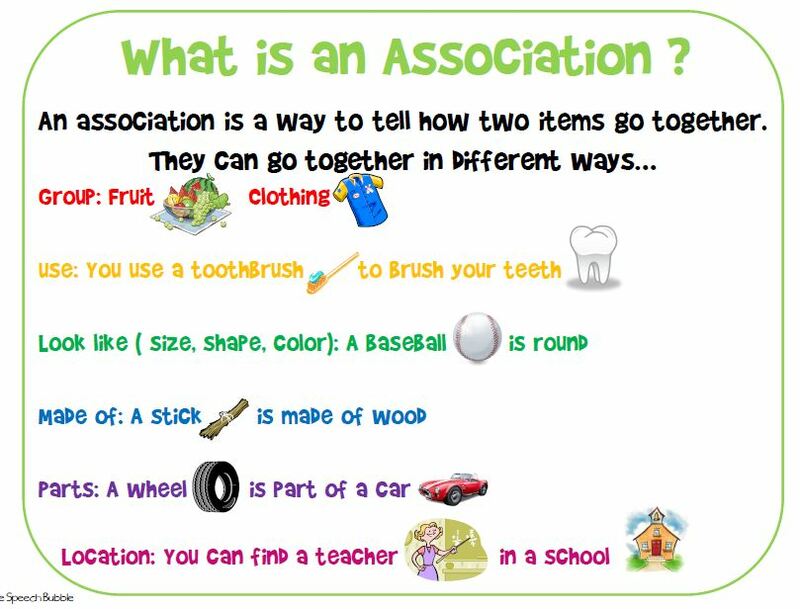 I think my favorite part of this whole packet is the visual reference for students titled "What is an Association?" This is a great overview of ways that items can go together, and my students were definitely using it as a reference to figure out answers to their cards. This would be a great poster to put on a wall too. 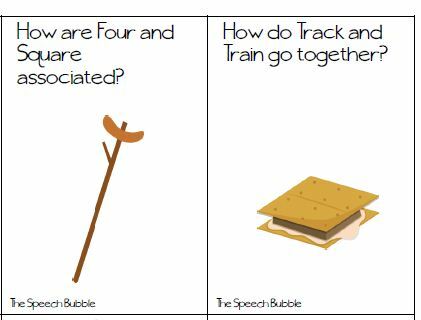 Overall, this is an awesome pack of activities to target associations and analogies. You can find this packet HERE. The best part, is it is a great deal at only $2.00! Thanks so much, Maureen, for letting me review this great resource! A Day With a Cookie Sheet!